A true coincidence? Within half an hour of speaking with my son in London about some wonderful on-line world which allows streaming access to what seems like a billion songs, a familiarly shaped parcel arrived at my door . It was of the kind the iPod generation probably knows very little about. It was a 12'' record in a beautiful gatefold sleeve. This was music – the excellent Blues Funeral by the Mark Lanegan Band – you could hold in your hand and caress. You can't do that in the netherworld of iTunes, streaming on your home computer or on an iPod. 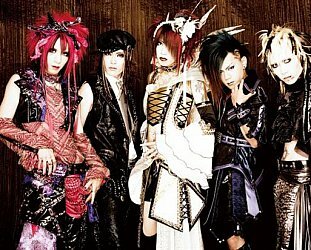 Like many people, I'm into iTunes and the whole invisible digital download world . . . although I've never had an iPod. But I do have two turntables, and a wind-up gramophone (a Sonora from the Thirties, see here) and am old enough to have had an older sister who had early Elvis and Bill Justis 78s. So I grew up with records and have always bought them, even when their demise was predicted by people such as myself. I recall once writing about how vinyl sales had disappeared to almost nothing in the mid Nineties and the illustration was of a record on horseback riding into the sunset. Well, I'm not so silly as to say “vinyl is making a comeback” – even a 10% growth on bugger all is still small – but it's heartening so many artists are putting out record these days (some with a free download code) because a record in a cover is an artistic package. In recent months I've bought everything from Frank Sinatra's Only the Lonely, the Stooges' first album and a collection of pre-revolutionary pop from Iran on vinyl because they just sound better (if your best sound system is a car radio you won't understand that) and you can enjoy the whole package. Bruce Springsteen's The Promise made more tactile sense on triple vinyl than it did on double CD. The classy photos were bigger and better, you could read the lyrics and liner notes easily and, if you wanted to, you could frame the striking black and white Eric Meola cover. 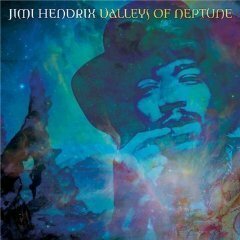 Same with Jimi Hendrix's Valleys of Neptune and South Saturn Delta which came in framable covers. But it's not just artists from the age of vinyl who benefit from records. 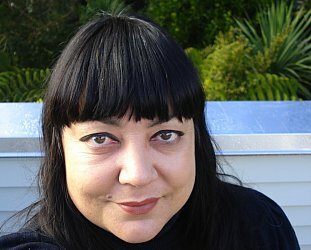 Auckland band An Emerald City did a beautiful double vinyl edition of their Circa Scaria album, Jan Hellriegel packaged up her All Grown Up with a full-sized booklet of lyric, photos, sheet music and paintings, and Dudley Benson's Minerals and Rocks in a cover painting by Peter Stichbury had an instant limited edition/collector feel about it. 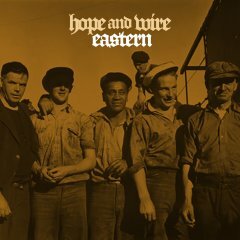 The excellent new double CD Hope and Wire by The Eastern is also on vinyl and now you can read their public bar lyrics which are microscopic on the CD sleeve, and fully appreciate the subtext of the cover photo. So this vinyl movement isn't just for oldies with gatefold Uriah Heep and the young Rolling Stones on their sagging shelves. Although King Crimson's In the Court of the Crimson King and the Beatles' Sgt Peppers make little sense on hankie-sized CD, and none if invisible in your computer. The annual Record Store Day -- April 21, 2012 -- for which bands release albums and singles on vinyl in a concerted move to supprt the form (and sell records) is the perfect excuse to go to a shop and thumb lovingly through slices of choice new vinyl, repressings and old archive stock. It's just exciting and fun. But no, vinyl isn't making a roaring comeback as some would have you believe. Sure, there's a bit more of it now than a decade ago, but -- like the best cuisine, wine, whisky and art – it'll always be for those with a taste and passion for it. That might sound elitist, but it's an elite anyone with a will and a half decent turntable can join. Mine fall far short of even half decent I should declare. 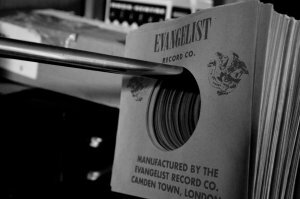 As I started to write this an e-mail popped into my in-box from Evangelist Records out the UK. 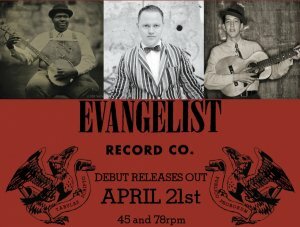 They are releasing new songs by LA bluesman Blind Boy Paxton, CW Stoneking and St Louis ragtime pianist Pokey LaFarge. They will be on, get this, 45rpm singles and . . . . limited edition 78s. Time for me to get out the gramophone again. And good lord, there is a double vinyl limited edition Toy Love live album (only 400 copies worldwide) coming out on pink or black vinyl too! Sometimes I feel sorry for the iPod generation. For more on the art of album and CD cover design have a look here. And this is an excellent doco about record shops and their place in popular culture. This is just funny . 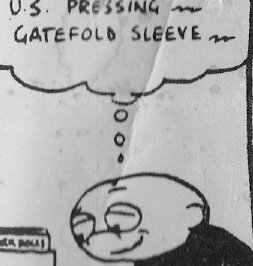 . . and so is Chris Knox's Max Media cartoon strip from 1990 below . . . It never really went away, ask any DJ. We LP-lovers were in good company - John Peel had something like 25,000 albums and singles, and Elton John recently sold his legendary collection for an Aids benefit. In the 60's (and doubly in the 80's) we used to laugh at (was it Decca or World Record Club, or both?) the little panel on the back of LP covers which boldly stated the facts: "This high fidelity stereophonic record cannot become obsolete", or words to that effect. Recently I've been having fun ripping some favourites from my modest (600-odd) and somewhat abused collection via a USB turntable (they seem to quite widely available now). Old rockers suit the process quite nicely unless the years of dedicated mis-handling have really eroded the grooves, but anything more contemplative (classical obviously) doesn't survive my attempts to edit or filter out the noise and scratches. Irony: my iTunes seems to have a persisent fault which randomly degrades MP3 tracks (e.g. ripped from CDs) with more or less unlistenable degrees of fuzzy distortion. Anyone for the cloud, then? It never really went away, ask any DJ. We LP-lovers were in good company - John Peel had something like 25,000 albums and singles, and Elton John recently sold his legendary collection for an Aids benefit. In the 60's (and doubly in the 80's) we used to laugh at (was it Decca or World Record Club, or both?) the little panel on the back of LP covers which boldly stated the facts: "This high fidelity stereophonic record cannot become obsolete", or words to that effect. Recently I've been having fun ripping some favourites from my modest (600-odd) and somewhat abused collection via a USB turntable (they seem to quite widely available now). Old rockers suit the process quite nicely unless the years of dedicated mis-handling have really eroded the grooves, but anything more contemplative (classical obviously) doesn't survive my attempts to edit or filter out the noise and scratches. Irony: my iTunes seems to have a persisent fault which randomly degrades MP3 tracks (e.g. ripped from CDs) with more or less unlistenable degrees of fuzzy distortion. Anyone for the cloud, then?